Catskill View Weddings & Events is a part of Thor Icelandics, LLC., which is the legal name and entity from whom you will be renting the venue from. Thor Icelandics, LLC. belongs to Kristjan R. Kristjansson. Thor Icelandics is a working Icelandic horse farm and is home to about 50 Icelandic horses. 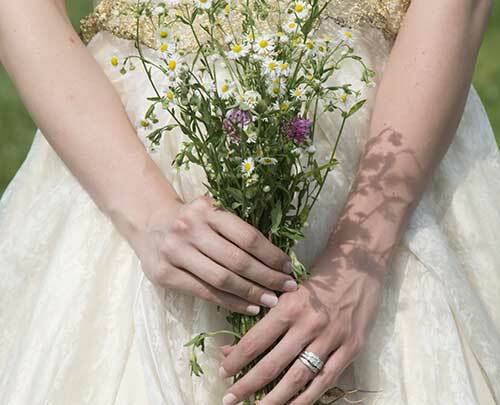 In our efforts to preserve the farm's uniqueness, we only host a handful of weddings and events per year, from approximately late April through early November. 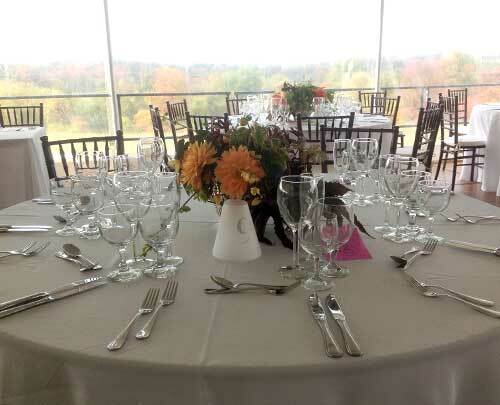 Whether this is the setting for your special day and the wedding of your dreams, or if this is the site of a celebration of a different kind like a birthday or anniversary, you can be assured that the site is exclusive to you and your party for the duration of your event. Thor Icelandics is available for photoshoots for a set fee. Please inquire for further details and pricing. Thor Icelandics' staff will assist in receiving deliveries from vendors and directing vendors to the designated area(s) of your event, but we are not event planners so we will not organize the details- or set-up of your event. We are essentially an "outdoor" venue, and require that amenities such as tents, tables, chairs, bathrooms, generators, and the such, be brought in through other vendors. We can happily provide you with a list of preferred and qualified vendors for each of your needs. But it is your responsibility to hire all of the required vendors to get all of the items that are needed for your event. Because we are an outdoor venue, we can not guarantee Mother Nature or the weather's cooperation or acts of God. For this reason, we insist that you at least get one tent from a qualified tent vendor so that your event has an indoor facility – if the weather proves to be uncooperative. 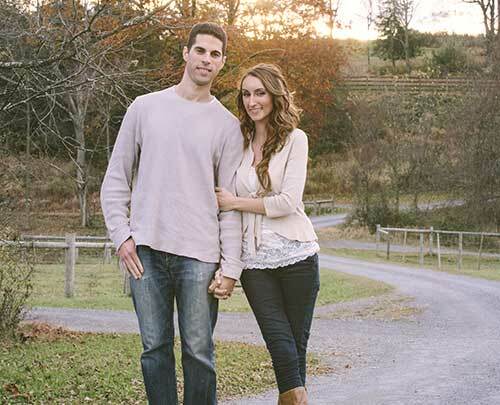 We require that the person(s) renting our venue purchase wedding or event insurance that specifically covers "Liquor Liability" through Brad Peck Insurance in Copake, NY, and speak with agent Gail Fournier. This insurance covers both Thor Icelandics, its owners and officers, as well as you, the person(s) holding and or hosting the event. You must name "Thor Icelandics, LLC." on the insurance policy and provide us with a copy of it 30 days prior to your event, along with your final payment. Outside vendors: we require that all outside vendors that you hire and bring in for your event have their own insurance. For vendors, specifically for caterers and or other vendors that have to do with liquor or have liquor responsibilities, we require that they have their own insurance for "Liquor Liability" and that we be provided with a copy of said insurance policy 30 days prior to the event, and that they name Thor Icelandics, LLC. as part of their coverage during your event. All outside vendors will be your responsibility, that is to say that they not just perform their duty and provide you with the service that they are to provide you with, but also that their well-being is your responsibility and you and they agree to indemnify and hold harmless Thor Icelandics, LLC. of all actions, injuries, etc. that might occur while on the property. Alcohol may only be served to persons above the age of 21. Maximum capacity of 300 people per event. Smoking is not permitted inside any of the buildings, and we ask that smoking be contained to a designated area within your event and that all "butts" be discarded accordingly. DJ and or live music is permitted until midnight. 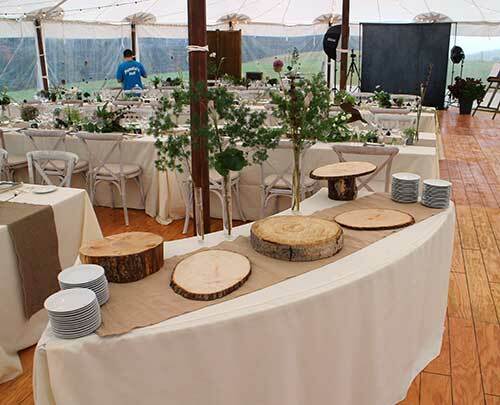 We strive to keep Catskill View Weddings & Events at Thor Icelandics a low key venue, and request that our farm and neighbors be shown the utmost courtesy and respect. A picture is worth a thousand words. Catskill View Weddings & Events at Thor Icelandics reserves the right to take photographs at/of the event for the purpose of advertising and marketing our venue (these photos would primarily be of the set-up and overall setting of your event). All rights to, and the use of these images shall belong to Thor Icelandics, LLC. However, we would greatly appreciate you allowing us access to your photographer's official photographs from your event (photo credit will be given). If that is OK with you, we would coordinate with your photographer. All parking of vehicles will be in fields close to your event. All areas are reachable through a one-lane sand- dusted road(s) within the interior of the farm. You are responsible for your guests and that they drive and park within the designated areas. If you rent golf carts or small utility vehicles to transport your guests between locations within the farm, we expect that the driver's of those vehicles be responsible for everyone's safety and well-being while simultaneously being respectful of our farm. The driver(s)'s and your guests' safety is your responsibility. You are welcome to bring in customized signage, directing your guests to the location of your ceremony/ reception/party/event. If not, Thor Icelandics has some directional signage available. You will have access to the location of your event 24 hours before and after your event to set up and take down. If you require more time, or if any of your vendors require more time, please let us know prior to your event and we will most certainly work with you to accommodate your needs. We expect that all clean-up after your event be conducted in a timely manner (see previous point), and that the location(s) of your event be left as they were presented to you, this includes all garbage removal. We can discard of bagged garbage for an additional fee, please speak to us ahead of your event if you require this service and to get pricing. You will be responsible for any and all damages to the venue that were the result of your event and will fully reimburse and compensate Thor Icelandics, LLC. for the damages. A 25% non-refundable deposit is due at the signing of this contract to secure the day of your event. Because we are reserving your date (which includes the day before and after your event), security deposits are non-refundable. The remaining balance is due 30 days prior to the event. Our farm & horses: Thor Icelandics is a true, working Icelandic horse farm. 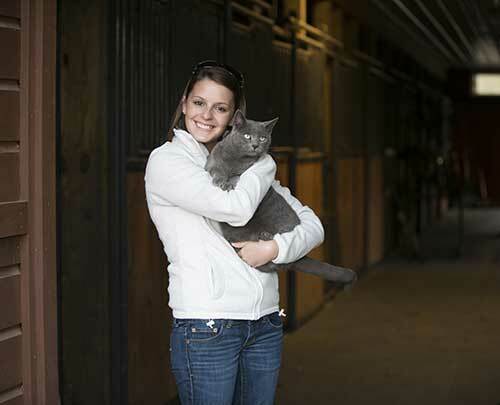 It is home to about 50 horses of all ages, two cats, and Thor Icelandics' owners. Much of our charm and uniqueness is directly related to our horses. 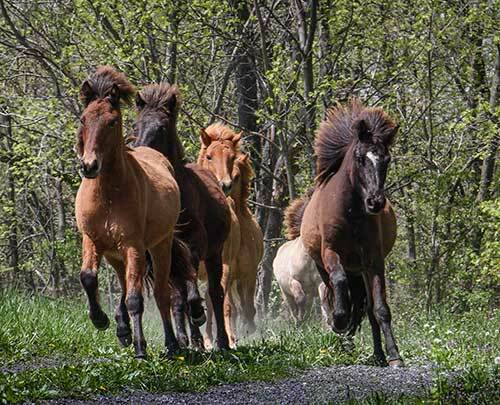 The horses mostly inhabit the area around the barns, which one has to drive directly through the heart of to reach The Hill, Upper- and Lower Tracks. Daily life on any farm involves adventure and unpredictability, so we ask that you remember that certain aspects of farm life are beyond human control. Although we make any and all efforts to ensure a smoothly run event, we cannot fully guarantee that your guests will not be greeted by whinnies of our horses, or that your guests may see a rider(s) on horseback on one of our many trails. Please keep these farm quirks in mind when deciding if Catskill View Weddings & Events at Thor Icelandics is an appropriate site for your event. Our horses are very friendly and curious. If you stop by a field with horses in it, chances are that they will come right over to you. We ask that you and your guests refrain from feeding our horses. And please note that all of our fields include one or two lines of electric fence and it will shock you if touched. So in the efforts of avoiding that you, your guests, and our horses get shocked with a surge of electricity, please refrain from touching the wire fencing and or reaching over- or through it to pet the horses. The horses may also forget about the electric fence in their attempts to talk with you and or be pet. Under no circumstances should you or your guests enter a field with horses in it, unless otherwise permitted and accompanied by a member of the Thor Icelandics staff. Arrival & things to be aware of: Our neighborhood is in a quiet country setting. We are surrounded by family homes and farms. To reach our farm, you will drive past residential homes and other farms. Catskill View Road is a partially dirt road, and is off the beaten track. Upon seeing the farm from the road, you will see brown four board oak fencing, horse fields with horses, and sheds. Our driveway is a dirt driveway, and all of our farm's interior roads and trails consist of stone dust. All of our trails are open and are large enough for large vehicles to gain access to all locations within the farm. Our trails will remain dry, regardless of rain (that is to say, our trails do not flood). Upon driving a few hundred feet into the farm, our large barn will become visible on your left and it's surrounding corral area which is overlooked by Thor Icelandics' residential home. The barn area may also contain vehicles, and horse trailers may be present in and around this area as well. 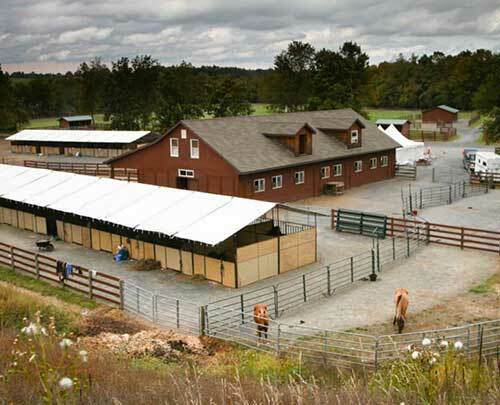 Our event locations: The Lower Track is located down below by the barn area and is in the heart of the farm. The Upper Track is located next to our Hill. The Upper Track is more secluded, is surrounded by woods on all sides (where you may see glimpses of horses off in the distance), except facing West, where it is open and looks up towards the Hill. The Upper Track's seclusion make it very intimate and romantic, and the acoustics are fantastic. The Hill overlooks a portion of the farm, as well as our entire surrounding area. On clear days you can see from Albany to New Paltz, and have a full view of the Catskill Mountain range, and the sunset sets directly in front of you in the West. The view from The Hill is a 360° unobstructed view, except for surrounding homes and farms in our neighborhood. There is often a nice breeze on the hill, so be aware of that if your event is early or late in the season.